Are you looking for a superior property management service? Aspire Property Management offers bespoke, high-quality property management services to owners of Sunshine Beach, Noosa and district holiday homes. Our services include the overall management, letting and marketing of your property, including managing bookings and guest needs; coordinating cleaning and house-keeping; and, supervision of repairs, replacements and refurbishments. Unlike many agents that do a little bit of everything, our specialty and expertise is the management of quality holiday accommodation properties. If you are looking for a superior letting service for your holiday property, please contact us on 1300 810 944 for more information. Please complete the following information and we will get back to you as soon as possible, with a free, no-obligation holiday rental appraisal for your property. Better returns through proactive marketing and low fees, we routinely offer returns in excess of the industry standard. While some agents are returning less than 35% of gross takings to owners, we return up to 60% on average. While most letting agents usually have 1 agent per 80 properties, we have 1 per 20 properties. This makes for better service in regards to bookings, maintenance and communication. Unlike most agents that use contract cleaners on a fixed rate that therefore get an average result, our cleaners are also employees, not external contractors. We coordinate strategic marketing to our extensive database and though our cutting edge website for Sunshine Beach Accommodation, through our portal www.stayinnoosa.com.au and through other marketing portals. To ensure property management, cleaning and advertising are coordinated in close consultation with you to make sure your needs and requests are carefully tended to. 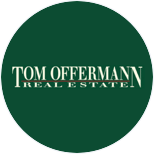 Tom Offermann Real Estate provides a premium level of service for no additional cost to our clients. We know that when it comes to the care and management of your valuable property, you expect a service that also exceeds your expectations. That is why we recommend the care-taking and letting services of Aspire Property Management with utmost confidence. Noosa locals, Dave and Kaz Langdon and their team manage Sunshine Beach Accommodation. It is a family oriented business that has managed properties in Noosa for around 10 years. Over this time the team has developed a reputation for a high-level of quality, personal service along with great income returns for owners. All the family and staff live in Noosa and the local area. This gives guests and owners peace of mind if assistance is needed. The team are true locals when it comes to the Noosa area and can help guests with anything they need to know about Noosa and the district. The real estate industry around Sunshine Beach and Noosa has reached new levels of low with some agents providing owners with ridiculously over-inflated appraisals just to get their business. We have examples of homes that have been appraised by other agents at as much as 100% above a reasonable rate based on what the market is currently paying. The issue of course, is that, once they sign owners up, there’s no way they will be able to get the tariffs they have initially proposed. They then knock rates down and hope that owners don’t move their business on. Aspire Property Management is different. We absolutely refuse to lie to owners and we only provide honest appraisals based on our expert market evaluations. We believe it is more important to maintain our integrity and will just not participate in these dishonest practices. The reason the Aspire team got into property management initially is because we are property investors ourselves, and we were not satisfied with the level of property management services we were receiving from other agents. We created Aspire to not only manage our own properties, but other properties also in a manner more in line with what we would expect as property managers. Being property managers ourselves, of course means that we know what owners expect and deserve when it comes to a property management service. Please contact us if you think we could be of service to you or someone you know.